Come and see Wayne, Linda, Juanita and Naomi at EmbroidMe Mandurah for the best in customer service and results !! 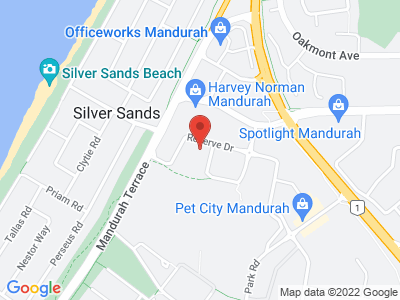 Welcome to EmbroidMe Mandurah, where we are proud to service the local Peel community. We are your one stop shop for all your branded apparel and promotional product needs. We have a new improved showroom, featuring corporate and office uniforms / team and sportswear/ hospitality and healthcare wear / caps, hats and more. We can custom make your garments also, for orders with specific colour needs, maybe several logos, this is the way to go. We use both sublimation and cut and sew methods to produce your custom garment with AMAZING results. see samples in store. Our services include Embroidery / Vinyl cut and print / Screen print / Direct to garment print. In-house, we have the latest technology with 4 head and single head Tajima embroidery machines, and a 1440 dpi 5 colour Epson direct to garment printer. We can also provide your Company with promotional products to carry your brand and make you stand out in the marketplace. Almost anything you can think of, and items you would never have thought of ! can all be branded and used to promote your brand. Pay a visit to Linda, Wayne and the Team at EmbroidMe Mandurah, and see how we can help you GET NOTICED ! Look for the yellow flags on the verge at 72 Reserve Drive, Mandurah. 8.30 - 5 Monday to Friday. 9 - 12 Saturday morning. The team at EmbroidMe Mandurah are great to work with. The whole process is simple and easy, the quality is great and the customer service cannot be faulted. Not sure you can ask for more! Phenomenal! Forever helpful, great pricing and quality service!!! Lynda and the team should be proud of their business as customer service is second to none! Always a repeat customer there and not afraid to recommend EmbroideMe Mandurah to all my friends/family!